Last Week we gave Chopad Levels of 10201, Nifty gave Entry as per Chopad Level Monday as low made was 10170 and closed at 10230 and did 1 target on upside, Another opportunity came on our time cycle date 18 Oct and Muhurat Session which most of traders would have avoided, It also did 1 target on downside. Lets see How to trade Nifty in coming post-Diwali week and with new time cycle starting from 23-Oct. Hope readers are getting benefited with the time cycle analysis. As discussed in last analysis As per ABCD pattern rally can extend towards 10374 holding 10100. High made 10251 is crucial and is PRZ zone for shark pattern, close below 10100 will give more fuel to this pattern and will also invalidate the ABCD pattern. 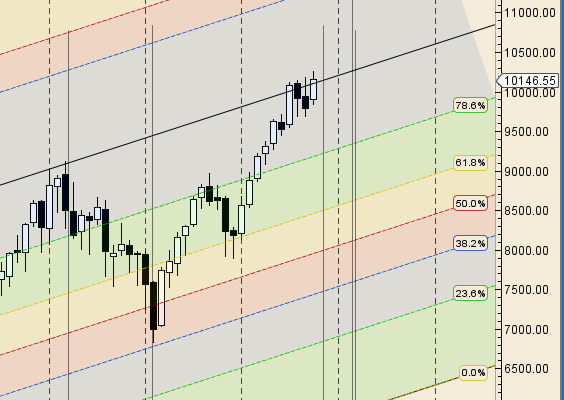 As discussed in last analysis Nifty made exact stop at gann angle before bouncing back, Now bearish below 9685 only if held rally back till 9930/10090/10170/10236.10170 done waiting for higher targets. 10236 also done, Now bulls should held 10100 for next round of move towards 10410/10570. 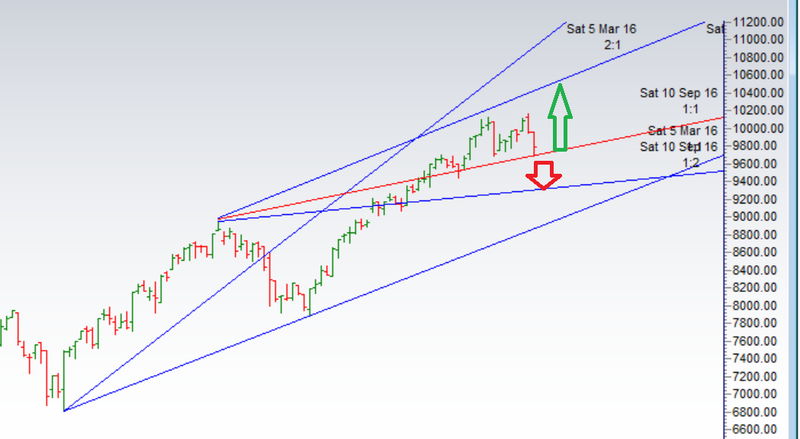 Nifty As per time analysis 23 Oct is Pressure date , impulsive move can be seen around these dates. It was negative week, with the Nifty down by 22 points closing @10145 As discussed in last analysis Bulls need weekly close above 10201 for next rally towards 10355/10400. Bearish below 10090 for a move towards 10000/9930. 18 Oct is another important trend change date. Bulls and bears both failed to close above 10201 and bears below 10090, Next week as new time cycle is starting from 23 Oct so we can see one of the range breaking.Bulls need weekly close above 10201 for next rally towards 10355/10400. Bearish below 10090 for a move towards 10000/9930. 18 Oct is another important trend change date. 10100 is playing an important resistance zone on Monthly chart, Nifty finally closed above it now we need monthly closing above 10100 for next move towards 10576-10600.